This species was named after the collector of the type specimen James Andrew Kershaw. Box Mistletoe ( Amyema miquelli, LORANTHACEAE ). Pupation occurs within their web of leaves. 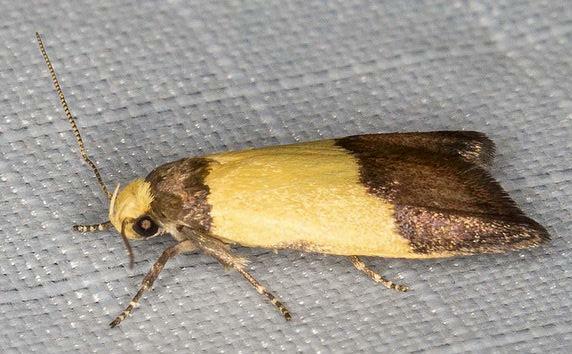 The adult moths of this species have yellow forewings each with brown bands across the base and the margin. The hindwings are plain brown. The wingspan is about 2 cms. CSIRO Publishing, Melbourne, 1994, pp. 117, 119, 121. Volume 17 (1893), p. 293.